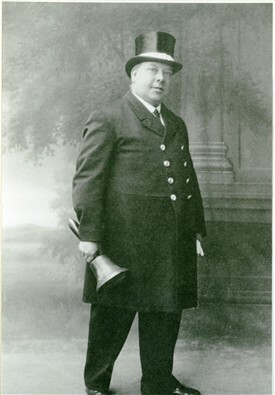 Bert Hall was the Town crier of Newark-on-Trent in Nottinghamshire from 1925 until 1951. In trade directories for the town he is listed as a newsagent and clockmaker, also bearing the distinction of being a fine amateur pianist, conjuror and comedian. One of Bert’s sidelines, however, would have particularly caught the eye of Newarkers visiting the seaside resort of Mablethorpe in the 1930s. 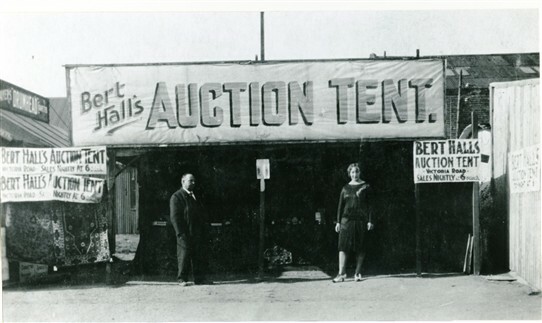 Here Bert operated his own Auction Tent selling such items as watches, clocks, cutlery and jewellery. "Bert Hall senior was my Great Grand farther and Town Crier of Newark from 1925-1951. The family - Bert sr, his wife Bella and 3 children (Bert jr, Cissie and Mary (My Grandma)) - lived on Baldertongate , Newark. 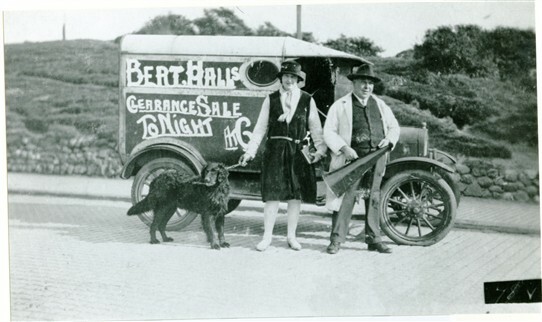 Bert was primarily a Clock maker but as you know had a few side lines including the Auction Tent . Bert senior’s farther was Joseph Hall (My Great Great Grandfarther) and he was Newark’s town crier from 1896-1925 , he was noted as being a Newsagent and living on Baldertongate around 1900. Bert Junior ,my great uncle became Town Crier after his father died in 1951 and retired from the role in 1984 - so my ancestors were town criers for 88 years! Bert sr died long before I was born , but my Mum can just remember him playing the piano in the house on Baldertongate. I am told he was a superb pianist , amateur Magician and comedian. I can, however, remember Great aunt Cissie who lived on New Street , Newark; by then she was an old lady . As a young lady Cissie did a regular high diving act off Skegness pier into a burning ring of fire and later ran part the shop on Baldertongate (Big and Beautiful) selling ladies fashions and Nik Naks. I am told Cissie kept a pet pig in her house and was the first lady in newark to ride a motor cycle! My mum has always said the family was originally of Romany Gypsy descent, hence the travelling and auction tent at Mablethorpe in the summer! The Baldertongate property’s referred to were occupied by Bert senior’s widow Bella until they were demolished (in the late 50s?) to make way for an entrance to the London Road carpark! The cellars were stuffed with antiques and clocks, which were considered of no value at the time, sealed and the car park built above!" This page was added by Website Administrator on 03/06/2010. 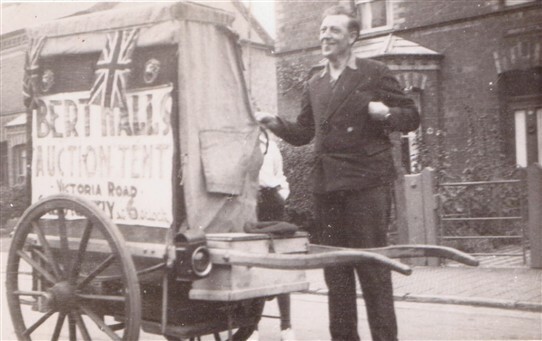 I found an old photo of Bert Hall with a hand cart advertising his auction tent..would you like me to email you a scan of it?